Making the decision to park hop or not in Walt Disney World is an important consideration when you think about the added expense to your ticket. Here is what you need to know and think about before deciding whether or not to add the park hopper option to your tickets. Park hopping is the Walt Disney World term used to describe visiting more than one theme park each day of your trip. The base Magic Your Way ticket only allows you to have unlimited entries into the same park each day whereas the park hopper add on would allow you to, for example, start your day at Magic Kingdom and then have your dinner in Epcot. What factors should I consider when deciding to add park hopping or not? - Age of Children – We haven’t used park hoppers in recent years because we have young kids. Since our two boys can’t stay up late to visit more than one park in the day, it’s simply not a good use of valuable Disney vacation money. With older children, park hoppers are a fantastic way to maximize your vacation time and squeeze in as many attractions as you can during your time. On an adult only trip, we almost always purchase park hoppers! - Length of stay – There is more of a need to park hop on shorter trips. When you have 7 days to visit the 4 major parks, park hopping isn’t necessary and you can even build in time to enjoy your resort and Downtown Disney. If you’re only in Walt Disney World for 3 or 4 days, you’ll need to park hop to see even just the highlights of the parks. - Dining preferences – This is important when you think about where your favorite restaurants are located. If you love dinners in Epcot (and who doesn’t! ), then maybe you want to park hop so you can visit other parks for the rides while coming back to Epcot frequently for the yummy food. However, if your favorite restaurants are scattered throughout Walt Disney World, you can typically pair up your meal preferences with the day you are in that respective park. Remember that regardless of whether or not your have the park hopper option on your tickets, you can still only make FastPass+ selections for one park each day. 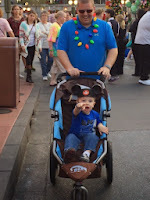 Park hopping can be a great way to get the most bang for your Disney buck, but it might not be ideal for all families and vacation preferences. Think about your traveling party and the type of vacation you are looking to have to make the best decision about whether or not to purchase the park hopper option for your tickets. We have never gone to Disney without using the Park Hopper pass. I think we are a little "amusement park ADD". We may enjoy a ride or two in one park and the hop over to another park for a different ride. And then, like you mentioned, the food...if we get a craving for something in one park and we are in a different one, we just hop over there. We love the park hopper pass and will pay the extra money to get it. There are so many great attractions and restaurants throughout Walt Disney World, it definitely justifies the park hopper! Glad to hear you've enjoyed it so much!